No, I’m not talking about what you might feel when you wake up in the morning and can’t make a bowl of oatmeal fast enough. I’m talking about hunger that kills. As a dietitian, worldwide hunger and nutritional deficiency hit close to home. And as a dietitian, I know that there is more than enough food to feed every single person in the world, and feed them well. While on a trip back home to Virginia, I had the pleasure of lending my help to an an anti-hunger campaign called Stop Hunger Now, which was hosting a meal-packaging event in my town. I hopped onto the assembly line and made sure meal packets were the right weight and consistency to be shipped off to over 65 countries worldwide. Within two hours we had packaged 25,000 meals. That’s right — 25,000 meals! 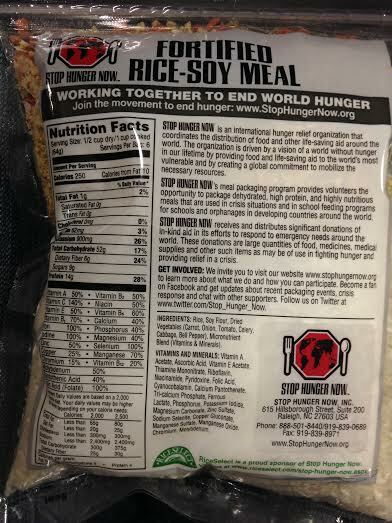 Each of those packets will feed six children and boasts rice, soy, dehydrated vegetables, and 21 vitamins and minerals. 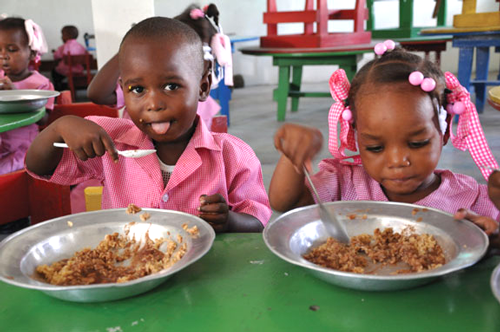 Children are hit hard by malnutrition and the diseases that arise from (or are amplified by) not having enough food. Measles, malaria, diarrhea, and pneumonia are some of the leading causes of childhood death. And malnutrition can start before kids are even born, if their moms aren’t taking in enough nutrition. 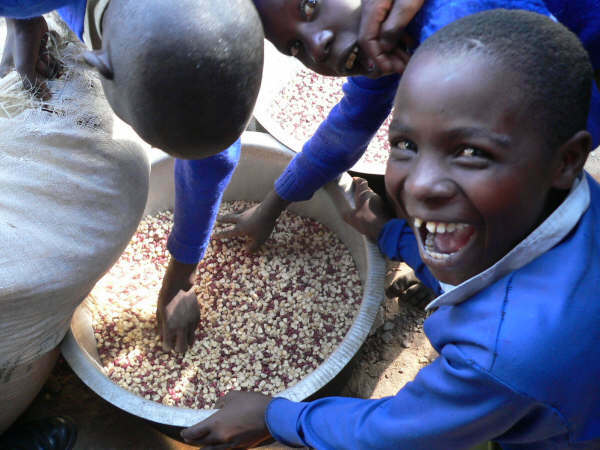 Read more about the effects of malnutrition here. The meals that we packaged were exclusively vegan. Now, depending on what country they are sent to, various meats may or may not be added per the local culture. But the meals cost just 25 cents because they are plant-based. So if we have enough food to feed everyone in the world, why does one person every three seconds die of hunger or hunger-related illness? I’ll briefly summarize some of the key reasons. I don’t pretend to be an expert in this matter, but I have learned quite a lot through my studies and my travels to food-insecure countries such as Tanzania and the Dominican Republic. “Governments must support food systems that provide farmers and workers with a reasonable standard of living, replenish soil nutrients, conserve natural resources, and minimize pollution and greenhouse gases—and promote health.” Part of minimizing pollution and greenhouse gases naturally involves growing more plants, and less meat. When the focus is on growing crops to feed animals, an opportunity arises to feed more people instead of fueling a meat-driven system that just isn’t working. You don’t have to believe in human-accelerated climate change — it’s happening, and it’s been happening, for a long time. Due in part to increased heat and decreased water availability, farmers all over the world will suffer a decrease in agricultural production (mostly wheat, rice, and maize). 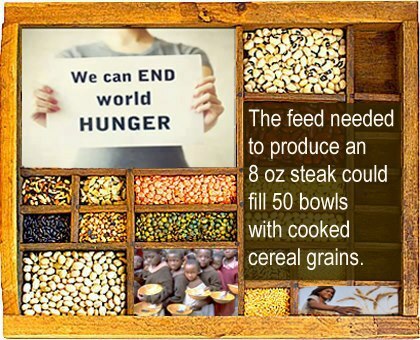 This will cause an increase in food prices worldwide, but mostly in Africa, South Asia, and Central America. Extreme natural disasters as a result of climate change will continue to wreak havoc. By 2050, we expect an increase of 10-20% of people at risk of hunger worldwide. 3. Lack of nutrition education. During my time in Tanzania, I sampled probably twenty kinds of root vegetables, dark leafy greens, and native fruits. Unfortunately, many of them were underutilized by the local population and sometimes even treated as throwaway foods. But these foods were rich in vitamins and minerals, protein, and valuable starch. It takes dedicated professionals to provide nutrition and cooking education to teach people how to rely on the food that their own soil can produce. So how can YOU get involved? I’ve compiled a list of Portland-specific organizations that need help. Oregon is the fifth-hungriest state in America. 1. Have a garden, or participate in a community garden? The “Plant a Row” program with the Oregon Food Bank allows you to donate home-grown food to the needy. 2. Want to get involved long-term? Growing Gardens offers programs to help schools start gardens and provide cooking classes. In the summer, weekly garden parties will involve a local Portland chef who can teach people how to cook what they grow. They even have an internship, which will focus on fundraising, building gardens, and hosting garden summer camps. 3. Reduce your own food waste. With so many hungry in the world, it’s a damn shame to throw so much food away. And Americans waste 40% of the food they buy. The Kitchn has a great article on ways to get the most out of the food you buy. And remember to compost your food scraps if you can, as decomposing food in landfills contributes methane to the environment. 4. If you like gardening a whole lot, get involved with the Produce for People Program. Last year they grew and donated 20,3337 lbs of produce to needy families. 5. More of a day-to-day volunteer? The Oregon Food Bank (and any food bank, no matter where you live) needs help. Here’s an easy way to get involved. 6. Host a meal-packaging event with Stop Hunger Now. This would a fantastic event for an organization or club to host. 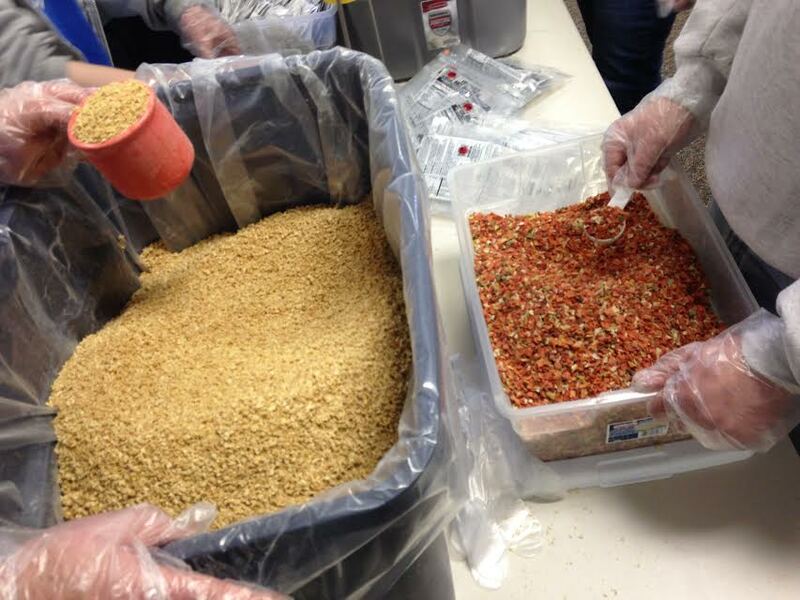 With 40 people, you could package 10,000 meals in two hours, at just 25 cents a meal. 7. Make your dollar count. Support local farmers, and local produce. Alleviate your carbon footprint by reducing your meat intake. There’s so much more to be said about hunger, and so many experts out there who can say it better than I can. I hope this post left you with the knowledge that hunger and the disease that occur with it can be stopped. What do you know about hunger? Cannon Beach: home to the iconic Haystack Rock, and one of our nation’s most spectacular shores. It’s two hours from Portland, and you should be there right now. Along with these pretty pictures comes the sad story of how I royally ruined a to-be camping trip by not making campsite reservations in advance. What was going to be a sunset on the beach and s’mores roasting over beach-side driftwood became, instead, a late-night rush to find a motel because there was no (legal) place to pitch a tent. After getting the boot by one Wright’s for Camping, which had promised to hold us a last-minute spot (do not go there), the lady and I decided to call it and were lucky enough to snag a discount rate at the McBee Cottages, where we slept soundly just a block from the beach. Bonus: they are pet friendly if your furry friend is taking a weekend trip with you! Pro tip: finding a place to camp on the North end of the coast is hard! Most of the campsites that are actually on the beach are closed due to the dangers of old-growth trees falling down and injuring campers. We had planned to stay at Nehalem Bay, and then tried Camp Lookout after driving up to a full campground. No such luck. Everything was full, save for the RV parks–yeah, not happening. Take my word for it and make your reservations. Nevertheless, waking up right in Cannon Beach was a surprise treat for these campers who were ready to rough it, and we spent the rest of the day exploring this and Smuggler’s Cove (located in Oswald West State Park, just a bit south of Cannon Beach), which has a plethora of hiking trails surrounding the beach. It might just be my favorite west coast sun spot. Here, take a look! A beautiful meadow by the beach. Only in Oregon — the beach through the prehistoric trees. This is me, attempting to master the tripod headstand. Just harassing a crab, as one does. Don’t worry, we put him right back. Cannon Beach is pretty spectacular when the fog rolls in. I love days that start like this.